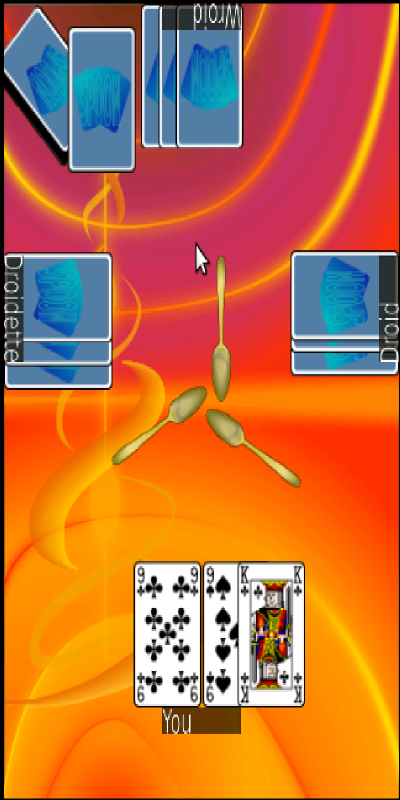 Spoons, also known as Pig and Tongue is a fast-paced game of matching and bluffing family of card games. 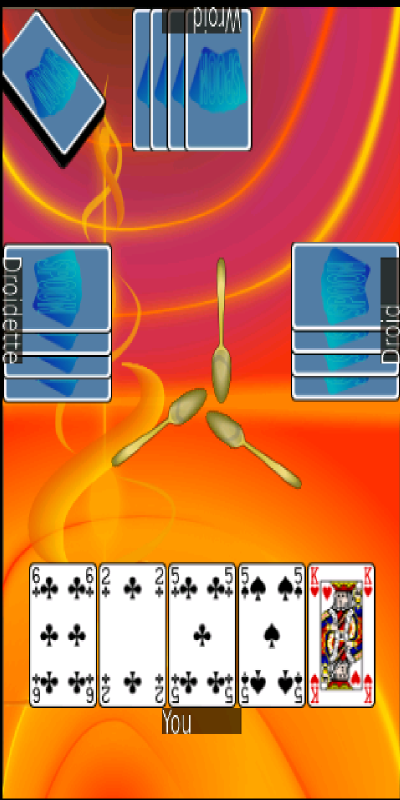 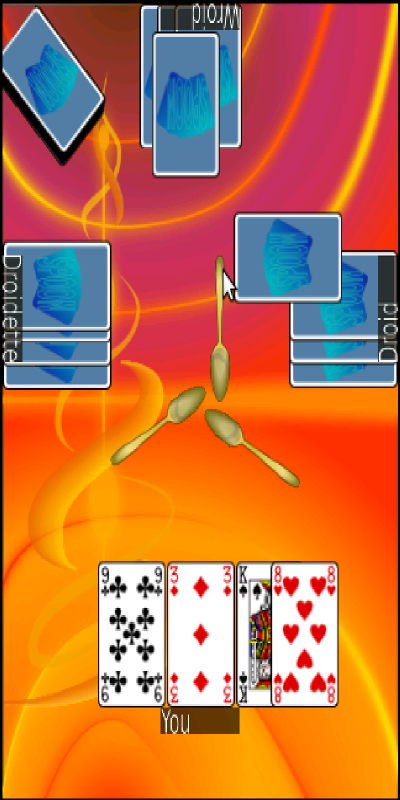 It is played in multiple rounds and each player's objective is to be the first in the round to have four of a kind, or to not be the last player to grab a spoon. 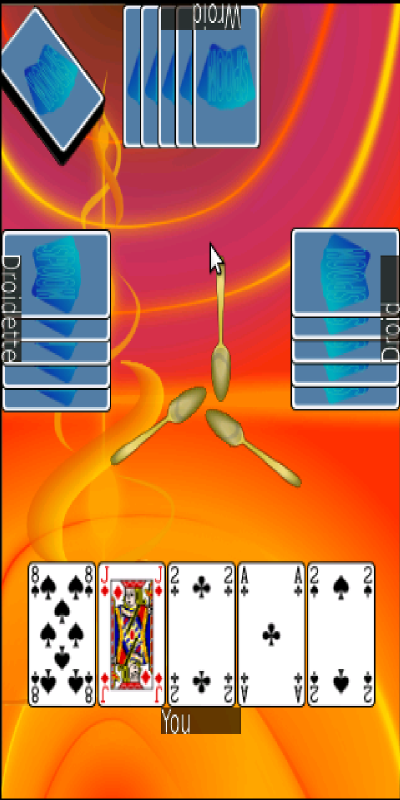 Once one spoon is taken, everybody attempts to get the remaining spoons.